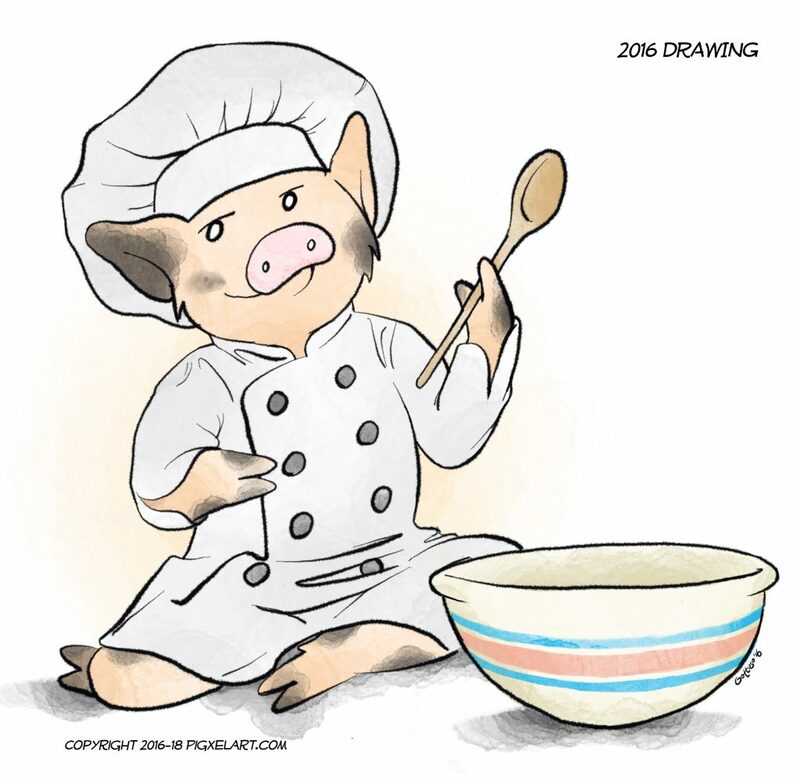 I recently revised this artwork for the front cover of the fifth edition of the American Mini Pig Cookbook. Sukoshi has changed slightly over the past two years – different proportions, line thickness, even coloring – so I wanted to update the cover to reflect that. I usually don’t post this kind of stuff here, but this one turned out particularly nice. 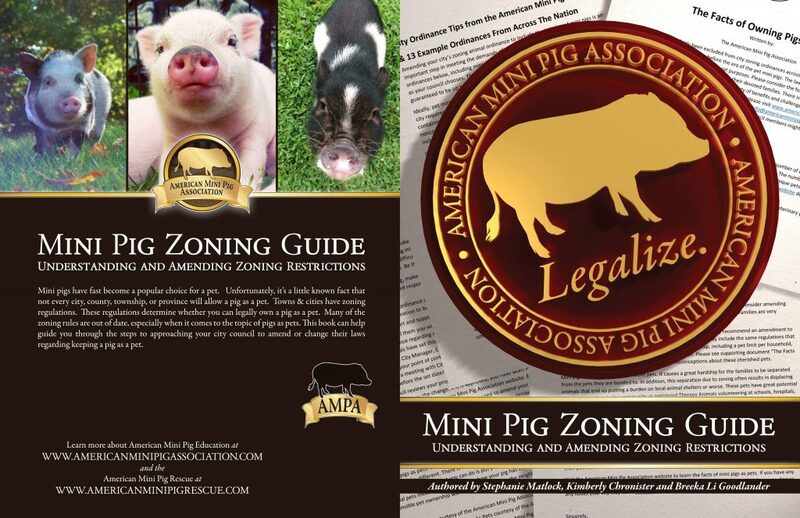 3D modeled, staged, lighted and rendered image for the front cover of the AMPA Mini Pig Zoning Guide. 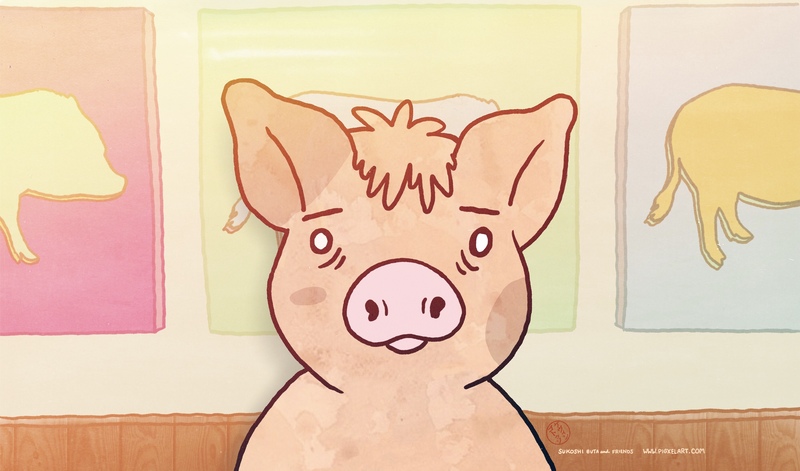 Sukoshi is ready for the new season of Bojack Horseman! 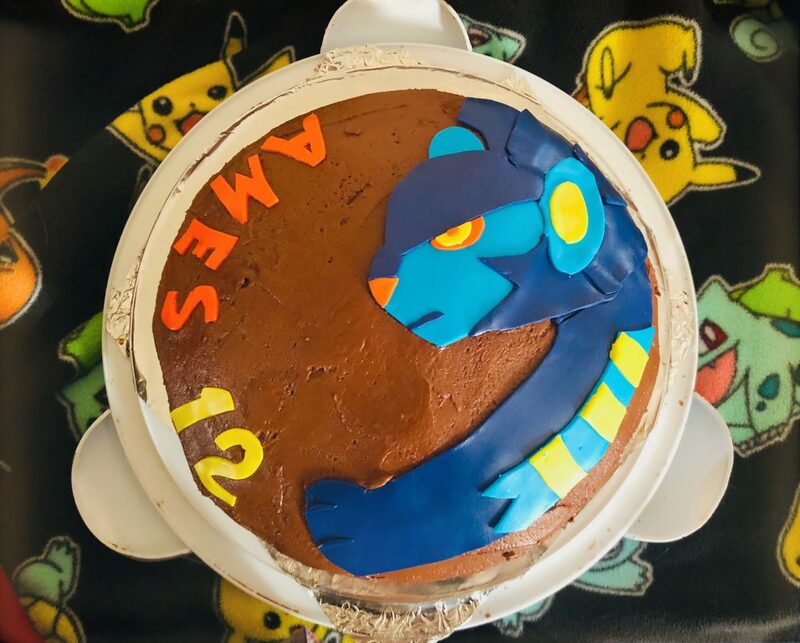 Amelia wanted a Luxray cake this year. 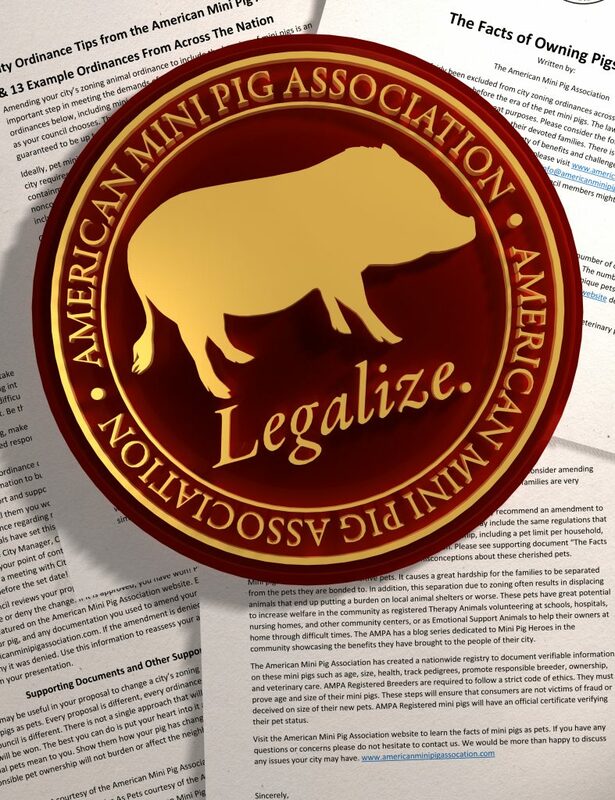 Considering we were in a bit of a time crunch (about 20 minutes to do the design 😅), I’d say it was successful! Love you, Ames! 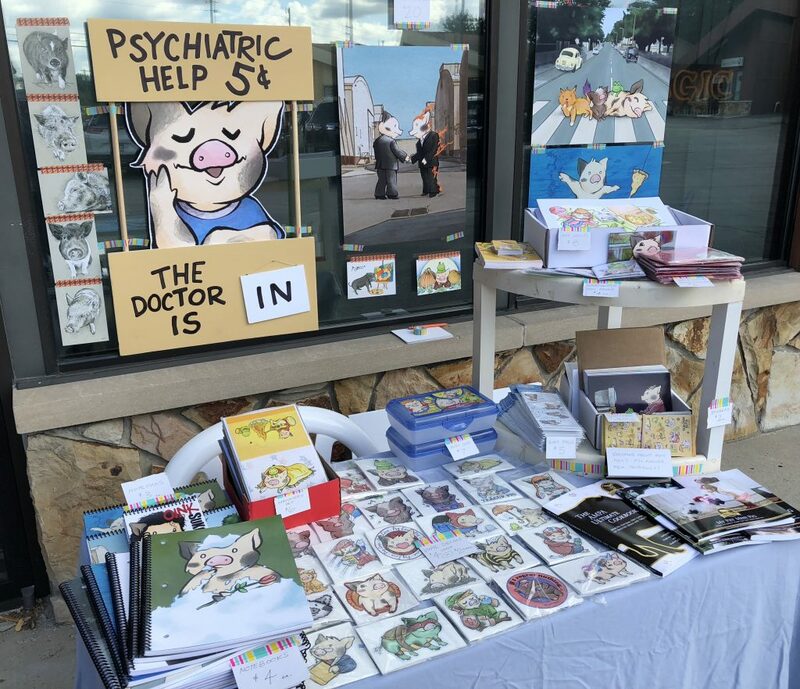 I decided to step out of my comfort zone today and sell some Pigxel Art outside of New Dimension Comics during their ‘Geek Cookout.’ It was so hot, but some great friends showed up to keep me company and it turned out great. 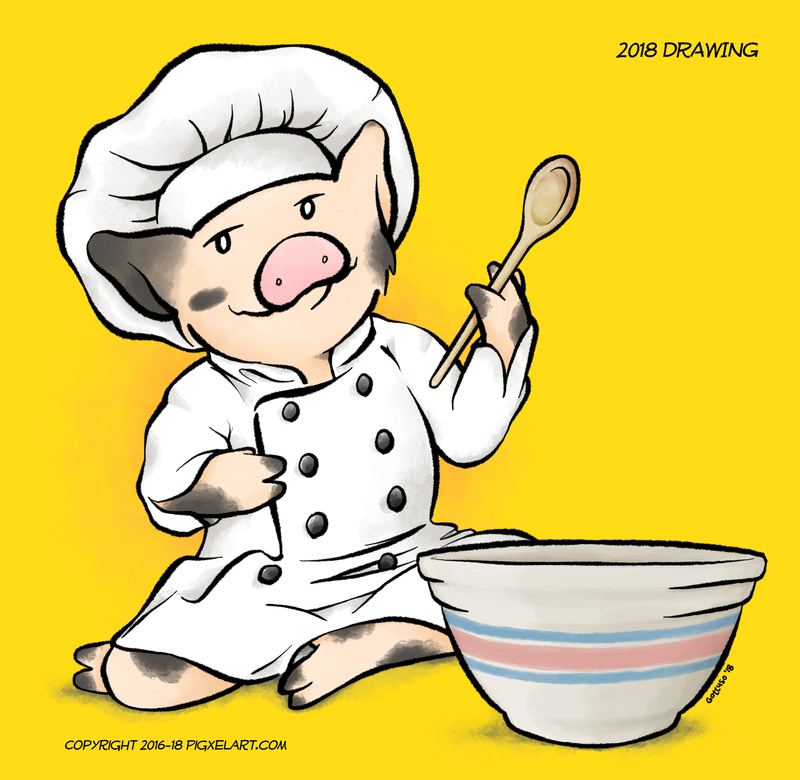 Thanks to everyone who stopped by!